The floor of Brooks Memorial Gym was packed with people who all had one goal. 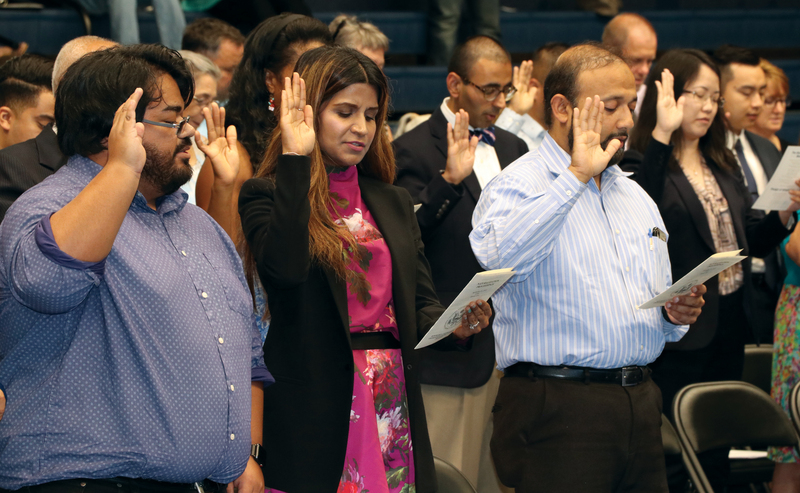 Their goal was to complete their journey to becoming American citizens. 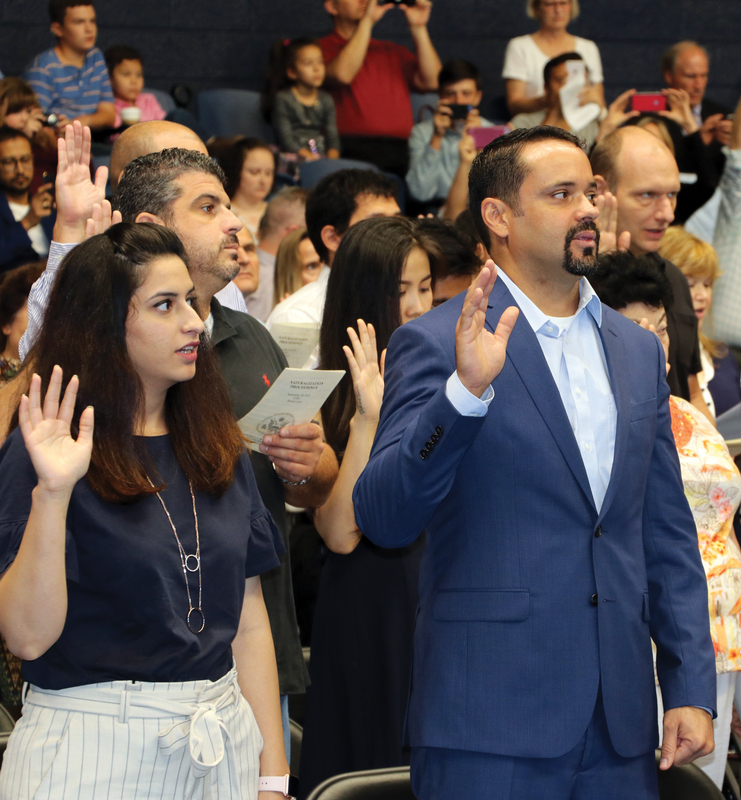 The Sept. 21 ceremony, which took six months to plan, saw 91 individuals from 36 different countries take an oath to become United States citizens. 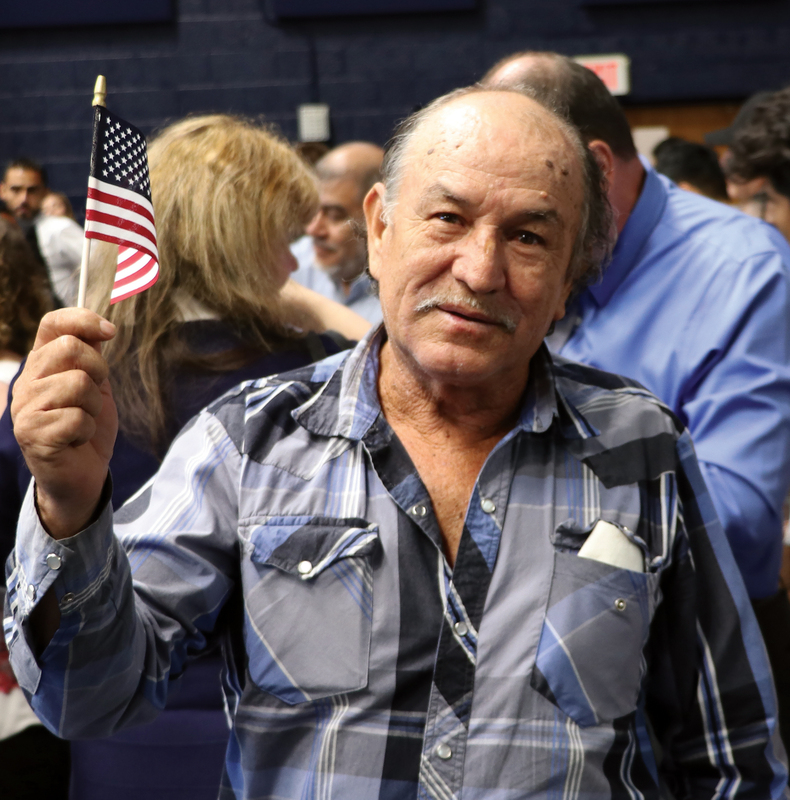 Each person had a different reason for becoming a U.S. Citizen. 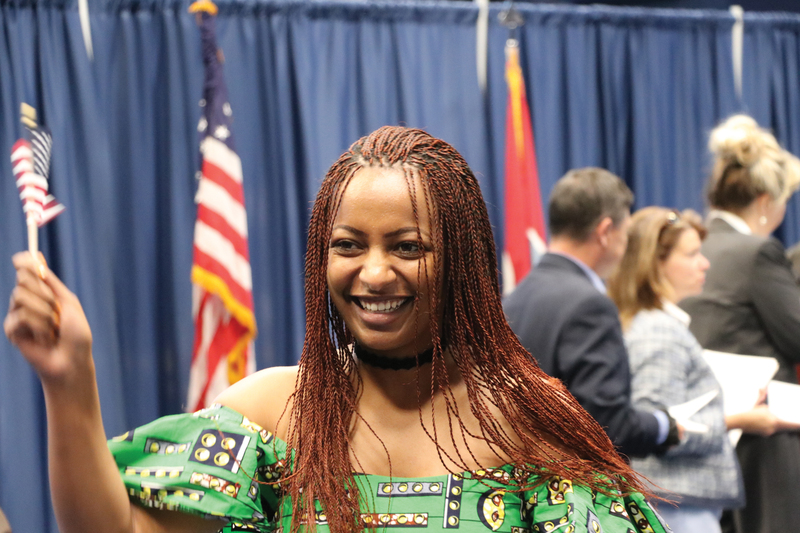 Alred said it took her six years to complete her journey to becoming a U.S. citizen, and she was honored to be a part of the first naturalization ceremony at ETSU. “Thanks to the school for doing this for 91 people,” Alred said. 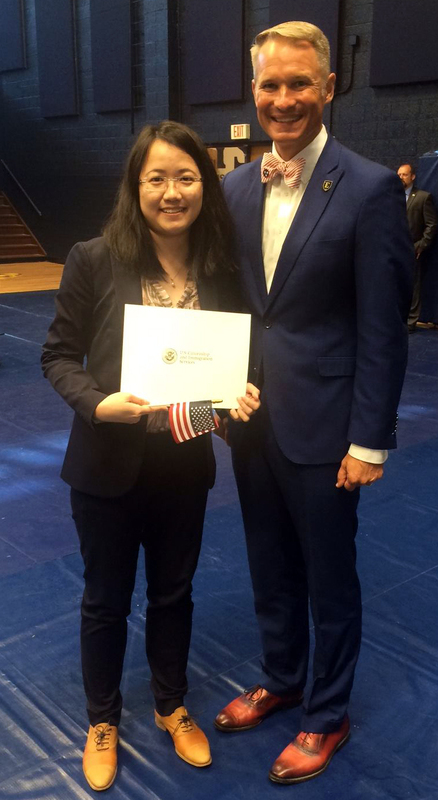 An ETSU student also became a U.S. citizen at the naturalization ceremony. Phan was from Vietnam, and she said she became a U.S. citizen for school. Phan said it was cool to have the naturalization ceremony at ETSU. 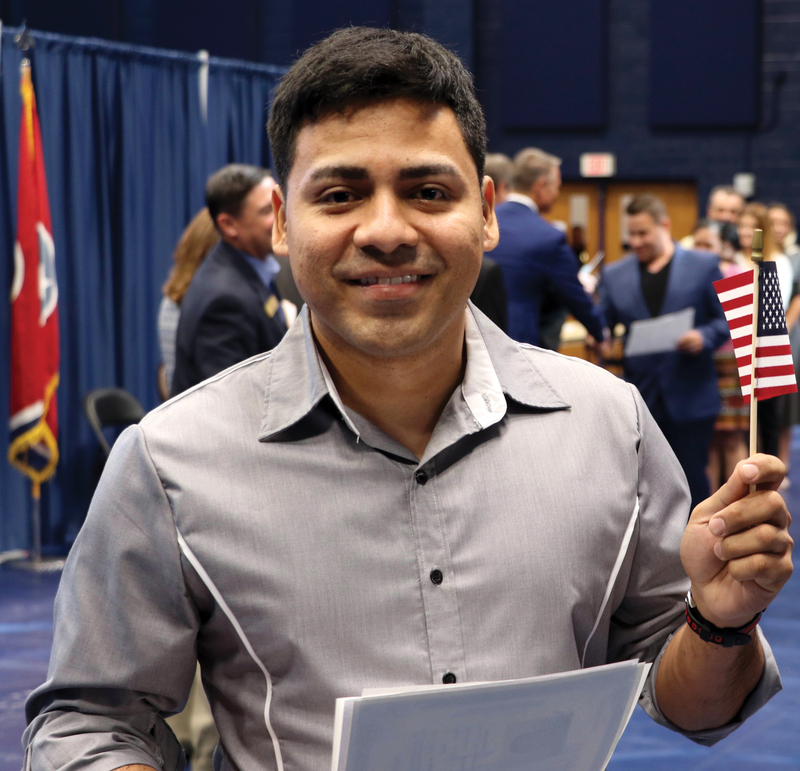 The 91 participants of ETSU’s first naturalization ceremony now have the same rights and freedoms that Americans born in the United States have every day.